Currently on view at the Beacon Institute for Rivers and Estuaries is an exhibition I've organized with artist/biologist Brandon Ballengée. 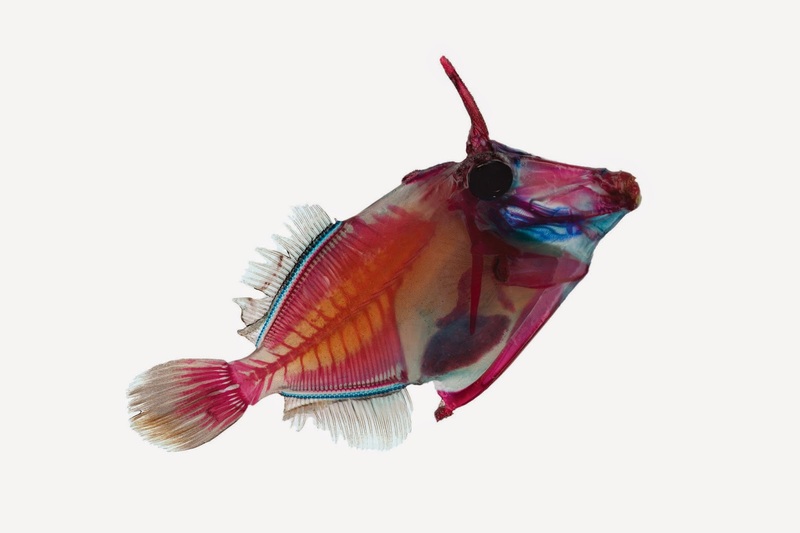 The exhibition titled Ghosts of the Gulf includes several stark and brilliantly colorful images of marine species collected in the Gulf of Mexico directly following the deadly 2010 Deep Water Horizons (DWH) oil spill disaster. Ballengée will give a talk about his work and a reception will take place on Saturday, December 13 from 5 – 7 pm at the BIRE gallery on Main Street in Beacon, NY. Register here. Ballengée's artistic and scientific inquiry has focused on the rapid decline of amphibian populations around the world and the occurrence of developmental deformities among amphibians. He has received international attention for this work as well as his scientific research publications. Ballengée’s work as a biologist looks at amphibians as bio-indicator species, particularly their development in complex ecosystems and the proximate causes for developmental deformities among wild populations. “Understanding amphibians at this point in history is very important as they are suffering from rapid wide-spread population declines at over 40% in less than half a century” said Ballengée. 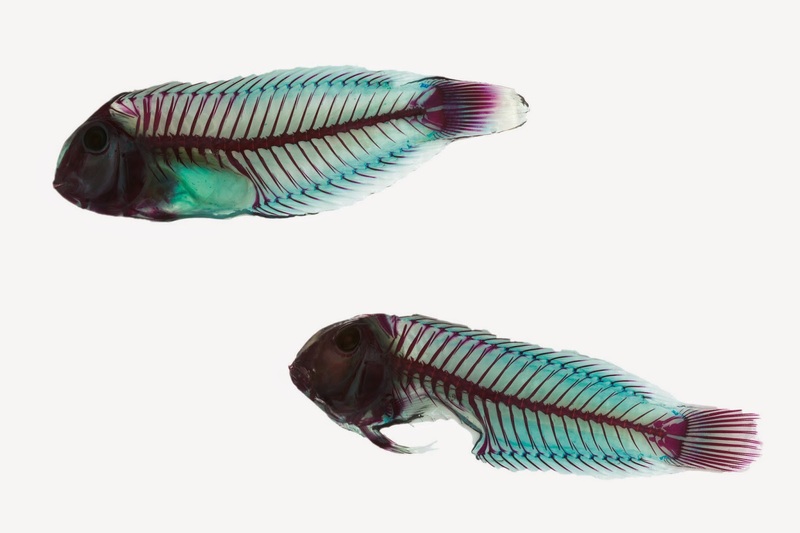 Though the Gulf of Mexico species depicted in Ghosts of the Gulf do not appear to show deformities, Ballengée, hypothesizes as to why; “The subjects in Ghosts were found shortly after the spill so do not have any obvious morphological abnormalities, however we don’t know what the long term impacts of the spill yet will be, on these species or even our own”. 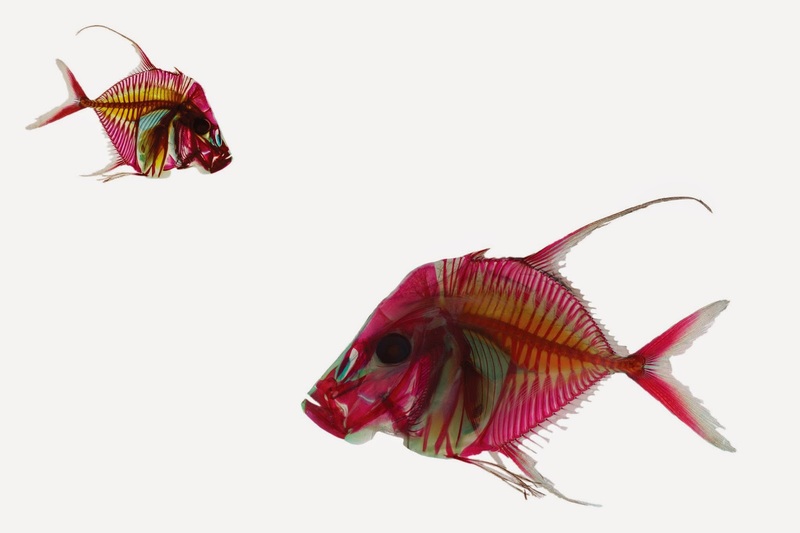 These images of species once common to the Gulf, represents a creative process that blurs the lines between art and biology. 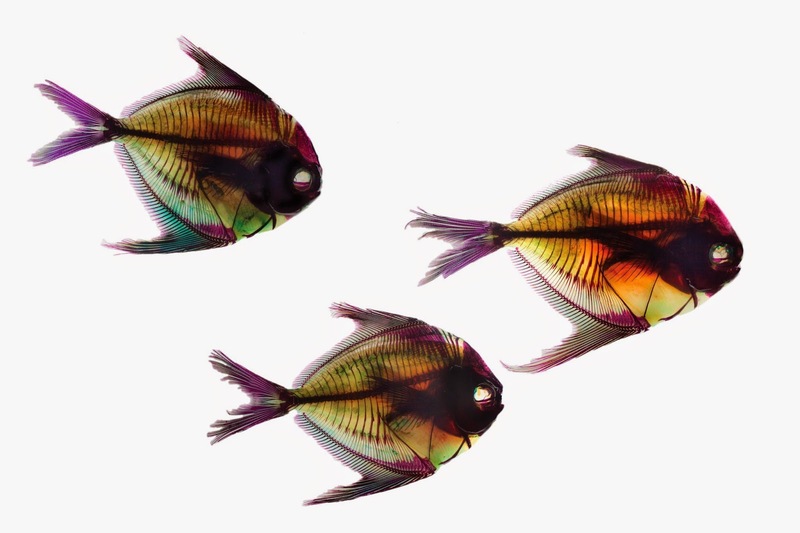 Ballengée’s specimen-subjects transition from their once living state to brightly colored x-rays revealing the complex architectural anatomy of these beautiful and vanishing species. It's very exciting to be partnering on an exhibition of such importance as Ballengée’s Ghosts of the Gulf with the Beacon Institute, an environmental research nonprofit engaging scientists, engineers, and environmentalists, to apply diverse intellectual and physical resources to the water challenges of the 21st century. 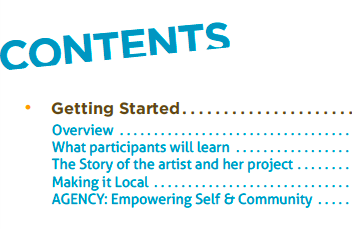 I've been fortunate in having the opportunity to work with Ballengée several times over the past 12 years beginning with my pioneering exhibition and book Ecovention in 2002 at the Center for Contemporary Art in Cincinnati. In 2007 I collaborated with Ballengée and the Central Park Arsenal Gallery, Audubon and The Nature Conservancy on Silent Migration, an exhibition focused on the 300 species of birds that migrate through New York City each year. I included Ballengée in my public exhibition BiodiverCITY, which took place in Washington D.C. in 2012 as part of the 5 x 5 public art exhibition hosted by the D.C. Commission on the Arts and Humanities. Ballengée constructed one of his signature works, Love Motel For Insects, an outdoor light installation that formed giant dragonfly wings out of fabric using ultra-violet lights to attract insects at the Smithsonian National Zoological Park. More recently I curated The Cryptic Ones, Salamander Portraits by Ballengee and Stanley K. Session at the Schuylkill Center for Environmental Education in Philadelphia. The 2010 BP Deepwater Horizon (DWH) oil spill was the largest environmental disaster in the history of the United States, with devastating impacts to one of the most important and biologically diverse habitats in the world: the Gulf of Mexico. Ghosts of the Gulf is on display at Beacon Institute for Rivers and Estuaries, Clarkson University now through March 8, 2015. The images are courtesy of the artist and Ronald Feldman Fine Arts in New York City.